My son has watched me download and install different versions of Linux on my computers over the past few years and he has gradually become interested in trying it for himself. The main use of his laptop is to use Facebook, watch Youtube videos and to play Minecraft. My son does play other games on the computer but generally they are Flash based or Java based games. There is an XBOX for real gaming. (Although it is only a 360 and not an XBOX One. If anyone from Microsoft is reading this and would like me to write a review about the XBOX One then feel free to send me one and I will be more than happy to oblige). The computer that my son uses is beginning to slow down even though it still has a reasonable set of specifications. Running Linux would actually be a very good option for him and he can easily do everything that he does now. There is no reliance on any other Microsoft products because I installed LibreOffice on his computer years ago and he uses Thunderbird for mail. The only possible problem that I thought I might have was with Minecraft. I did however manage to get it installed and it was relatively simple. This guide shows how I did it. 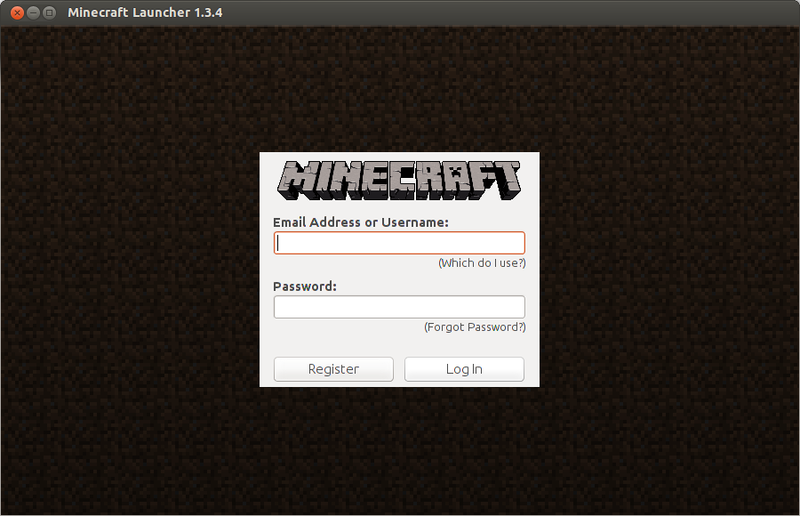 This article shows how to install Minecraft for Ubuntu but the instructions should work for other Linux distributions as well. 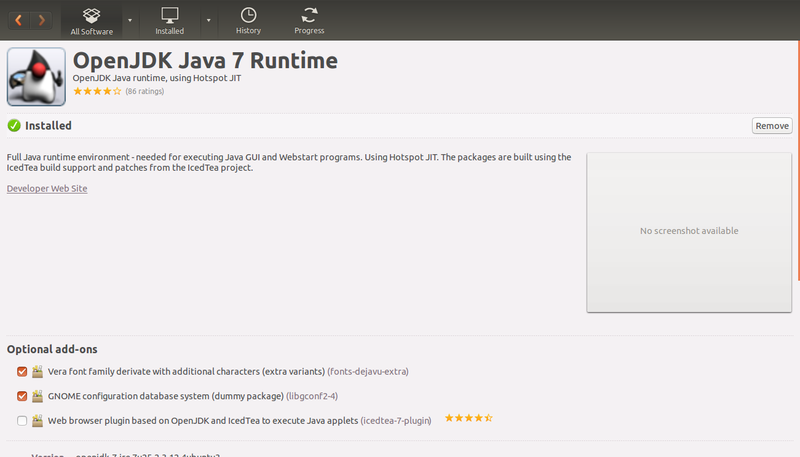 The first thing to do is download the OpenJDK Java Runtime. (The current version is 7). In Ubuntu you can do this using the Ubuntu Software Centre but you can also use Synaptic (if you have it installed) or APT. Fedora users can use YUM and openSUSE users Yast or Zypper. Visit https://minecraft.net/download to download the Minecraft Launcher. Click on the link for the Minecraft.jar file and the file will download into your Downloads folder. Open up a file manager or a terminal and navigate to the download folder. 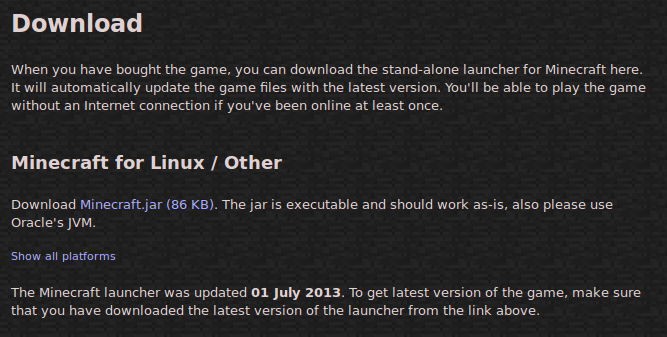 Despite the text on the webpage stating that the jar should be executable I can confirm that it isn’t. 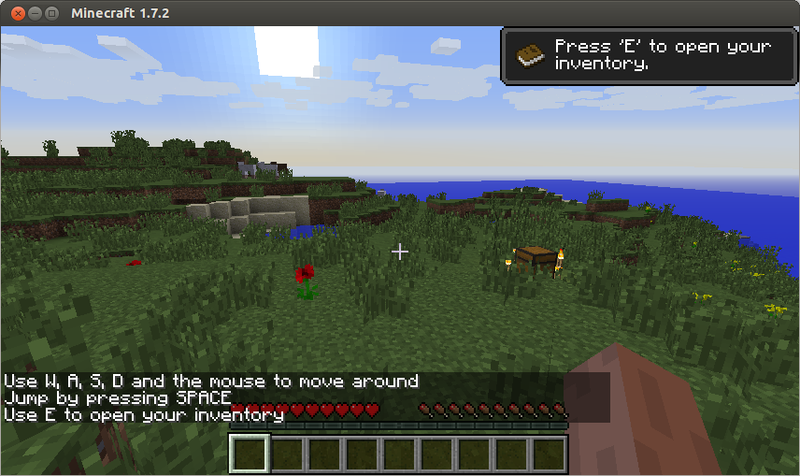 To make it executable with Ubuntu right click on the Minecraft.jar file and choose properties. Click on the “Permissions” tab and make sure the “Allow executing file as program” checkbox is checked. 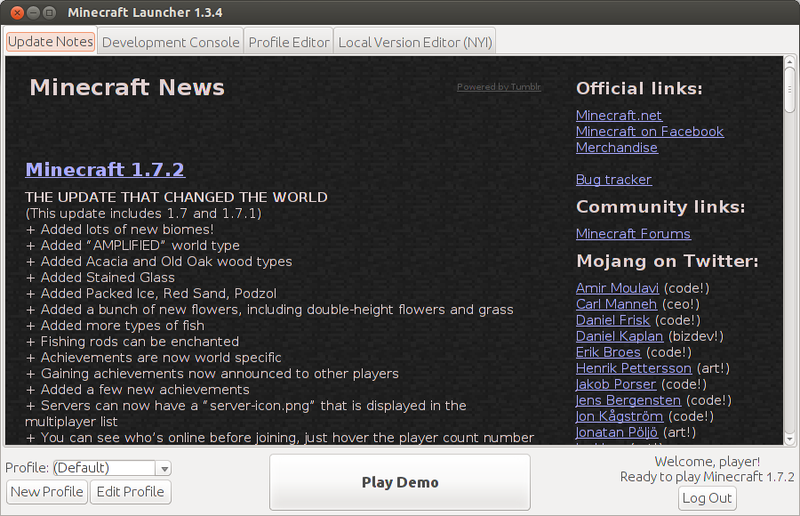 You can now run the Minecraft.jar launcher in Ubuntu by double clicking on the file. (Double clicking will work for a large number of distributions). After a few seconds the launcher will load. If you have paid to play the game then you will be able to click “Play” to play the game but as I have never personally played the game I only get the opportunity to play the demo. Clicking on the “Play Demo” button takes me through to the actual Minecraft game. As you can see setting up Minecraft is relatively easy. Before I sign off though you might be interested in a free version of a very similar game that has been written for Linux. 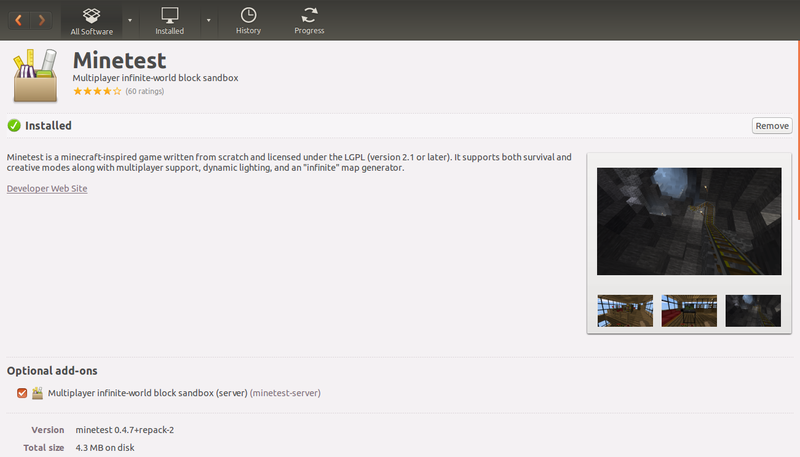 Open up the Ubuntu Software Centre and search for MineTest. Install “MineTest” and you will get a game that appears a lot like Minecraft. (To be honest in today’s world somebody could easily get sued). 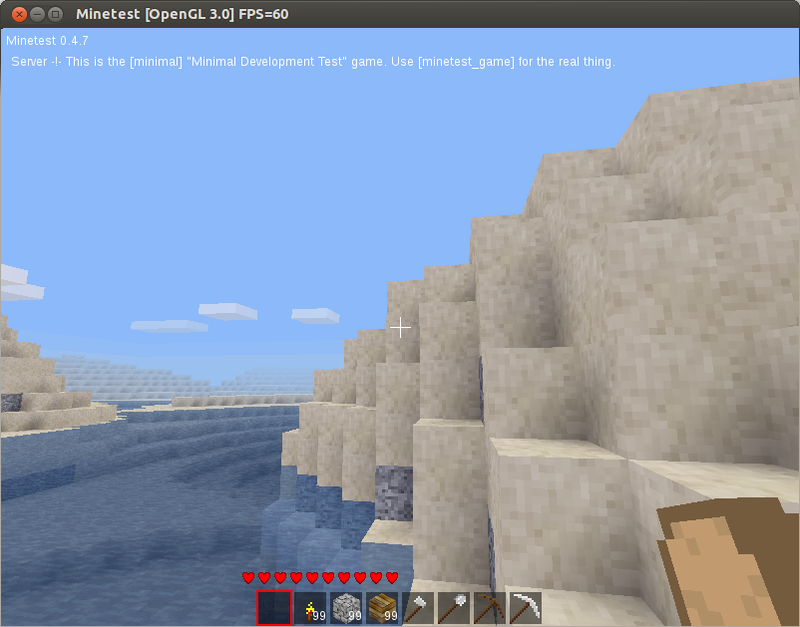 The game isn’t as polished as MineCraft as you can see from the following screenshot. The main game itself actually looks and runs fairly well. I have to admit to not being very good with the game but I always struggle with this sort of thing because of my colour blindness. 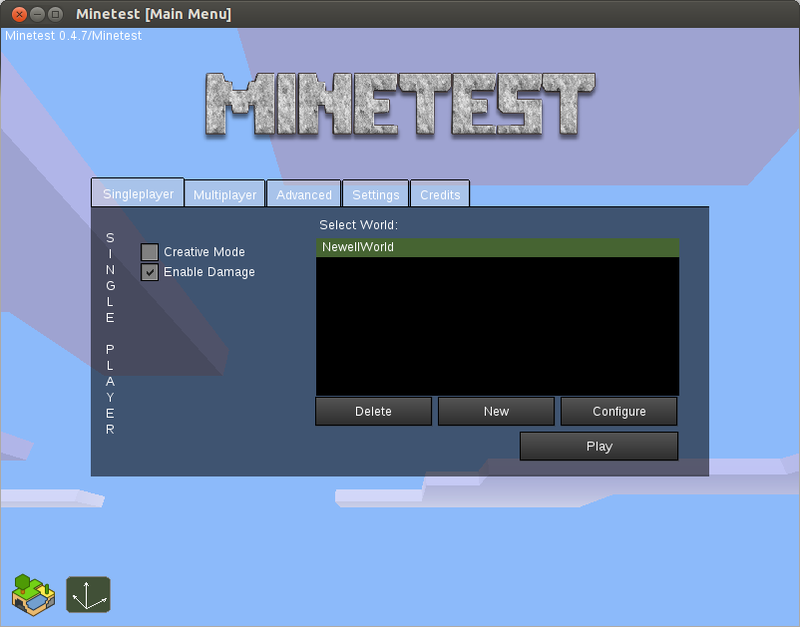 There is a single player and multiplayer mode for MineTest. It might be worth giving MineTest a go if you don’t want to shell out the £20 for MineCraft. OpenJDK isn't recommended for Minecraft. It's a common source of issues. I've been playing minecraft on openjdk for over 2 years and never had an issue. Never even heard of an issue that was fixed by using sun/oracle java over openjdk. I just wanted to say that "There is an XBOX for real gaming." should never be used in the same wording that has linux. Linux is all you need for some good gaming using Steam. You might say, but the game I want to play only runs on windows. Thats fine, no shame in dual-booting. I just think that anyone that says that "There is an XBOX for real gaming." maybe doesn't know what real games are. I have been a linux user for a long time now and although Steam is now becoming established I have to say that the XBOX is a really good bit of kit. It has been the best console for some time. Yeah well that's about to change with the PS4. Take that, stupid Microsoft fans! I dont agree with that. The PS4 and the Xbox one and Xbox 360 is still great if u know wht u are doing with it. this site is useless and ubunto is the worst crap ever. There are lots of articles about other distributions as well. The Puppy Linux page on the menu might give a clue to that. The website you have linked to has PHP errors showing. I would recommend turning off errors in PHP on a production site as it gives hackers a great place to start their work. I can't open minecraft because it has an "executable bit". Right click on the file and change the permissions. Add the tick to the executable bit. with ubuntu 13.10 right after you give it executable permission… you then right click on the jar file and select open with openjdk7 and it launches right away. None of the other command lines are needed. I appreciate this. My daughter is stuck in the hospital because of her condition, and getting to have fun on my Ubuntu laptop is making her day. Thanks so much! I am glad it helped Dan. I wish your daughter all the best and hope she gets well soon. Thank you for your great instructions, my son's system is all set up now by following your guide – very useful! Thank you for the instructions, needed to go via terminal since the permission tab on the GUI (Xubuntu 14.04 trusty) was not there. The chmod command worked like a charm. Thanks alot! Worked on mu newly installed xubuntu 14.04 lts! The executable box isn't there though so i had to do that through the cmd line. What would I have to install on Manjaro? Would I just download and install OpenJDK? Or would I use a different program? Yes. I think you just need to install openJDK and follow the same process. I think you might need to use the terminal command to actually run minecraft though. how to play offline admin? When you choose to generate the world, under the tab with extra settings, make sure to enable "Enable Cheats" and you will have all the op ("admin") commands to use. OpenJDK wont install what can i use instead? would i have to repeat this downloading minecraft launcher over and over just to play the game?? does it work on ubuntu 14.04? Very Good. Thanks it worked great! so since you have figured out how to install mincraft on linux/ubuntu….do you know of a way to install other windows and or windows based games as well?? And for everything else download and use Steam. Okay and thank you, but have you had any personal experience with getting them to work? I tried this morning, got it all installed and everything, but it said there was an internal error. Should i update my OS and try again, or find another way to get them to work?? Which game are you having issues with? okay. cause when i install it an error comes up that says one of the files cant be found or the files are corrupted. I installed the sims last night (sims 3) using PlayOnLinux and it seems to work ok.
As I said I will write step by step instructions with screenshots over the weekend. Can someone using Minecraft on a Linux computer play on a Minecraft server hosted on a Windows computer? Good question, and one to which I'd like the answer, too. I followed the above directions but when I double clicked the Minecraft.jar file, it just opened a folder that looked like it was for unzipping stuff. I'm using Lubuntu 14.04.1. I am a brand new Linux user. Any suggestions? This is hard to understand and nothing is working. 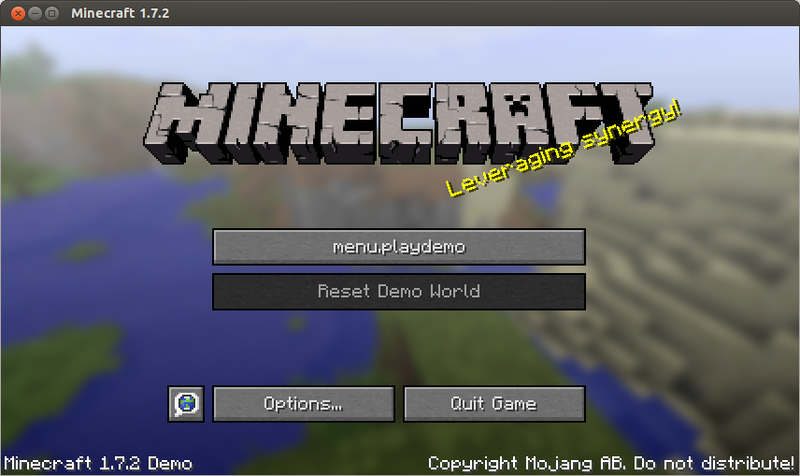 What we are trying to do is set up Minecraft on Ubuntu 15.04 to allow for programming Minecraft. This article did not help since we already have Minecraft installed.